Celebrating the 20th anniversary of everyone's favorite sleuth, M. C. Beaton's Agatha Raisin is as feisty as ever - armed with her famous wit and biting sense of humor. This time, though, there's some biting of a whole other sort going on. Agatha has fallen head over heels in love - again. This time, she has her eye on the local gardener, George Marston, but so do other women in their little Cotswold village. Shamelessly determined, Agatha will do anything to get her man - including footing the bill for a charity ball just for the chance to dance with him. And then George doesn't even show up. Only partly deterred, Agatha goes looking for him, and finds his dead body in a compost heap. Murder is definitely afoot, but this killer chose no ordinary weapon: A poisonous snake delivered the fatal strike. Rising to the occasion, Agatha rallies her little detective agency to find the killer, only to learn that George had quite a complicated love life. But murderously complicated? Well, if she can't have George, at least Agatha can have the satisfaction of confronting the other women and solving the crime. This was a good story overall. Some of the characters like Simon can be highly annoying and Agatha's constant self-obsession is very tiring.However, the entire series is a light, easy read that I'm sure I'll continue to enjoy. Porter is a good narrator, but not for this character. Keith is the personification of Agatha and we need her back. No. Plot was more vicious than usual, and narration was problematic. Yes absolutely. In fact, I'm getting ready to fire up another one tonight on my way to work. I am a big fan of Hamish MacBeth and Agatha Raisin and after dozens of books, I guess no one should be too out of sorts when one turns up as a dud. What three words best describe Davina Porter’s performance? Awful. But she is actually a very GOOD narrator so her performance on this book was perplexing. Did Hiss and Hers inspire you to do anything? Switch it off several times. The story was particularly vicious in regard to how the killer murdered the initial victim, and Davina Porter's strange voices made it a struggle to listen to. It was also another multiple murder victim scenario, which has seemed to become a more and more common theme with Ms. Beaton's books. While I would never recommend against the Agatha Raisin stories, it does seem like in Ms. Beaton's more recent books, she has been using an ever expanding number of murders in lieu of making the story around the initial murder more interesting or perplexing. I only listen to these books in audible form because I commute 100 miles to work every day. 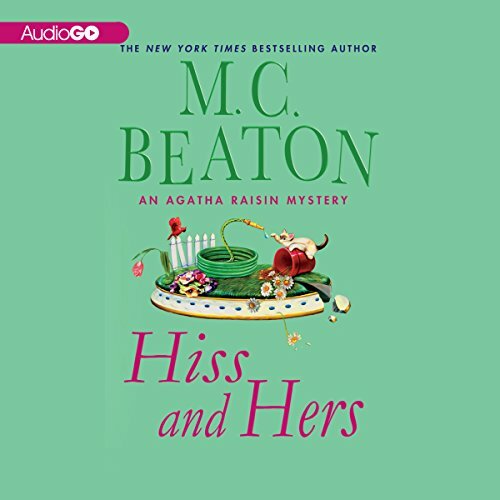 I am a big fan of Agatha Raisin and Hamish MacBeth mysteries and despite the let down with this one will continue to purchase them in audible formats for my commute. 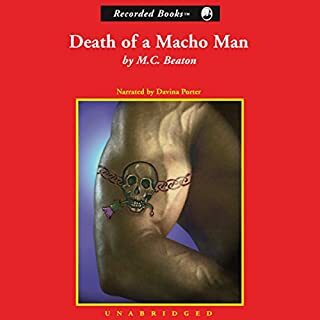 It's never easy to get used to a new narrator as I know only too well because the MC Beaton books have switched several times, but I couldn't adjust to Davina Porter's narration of this book. Davina Porter is actually a very good narrator whom I've heard before, and is pleasant to listen to - so I don't know what went wrong here but her voices really were pretty awful. Even after sort of adjusting to everyone else, I just couldn't adjust to her version of Agatha, who she turned into this sort of harsh crackling old ladyish voice that was just too far out of character if you read the Agatha Raisin books. If Ms. Porter does another, I sincerely hope she will listen to the previous narrators in this series and at least try to fall in a range somewhere along the diffentiations they made between characters. When narrators change in a series (even when they change from male to female of vice versa) it does seem as though they make something of an attempt to follow through with the general genre for the individual characters as previously narrated. Penelope Keith or Donada Peters. This narrator also does the Martha's Vineyard series by Cynthia Riggs where her quavering voice is great for a 92 year old detective but not for Aggie. A little too saccharin for someone with bear-like eyes and a stocky figure. And like most narrators, she could slow down a little. As usual, M.C Beaton is very entertaining. Irritation. 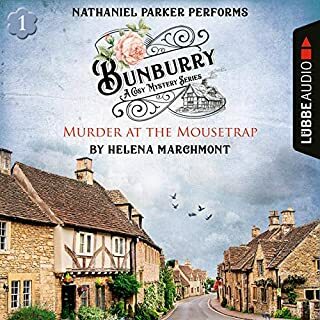 I wonder if the producers/marketers/narrators of audiobooks ever sit and listen to a full recording of the book. A little affectation goes a long way. I hate to write a negative review, but let's face it, audio is about narration. 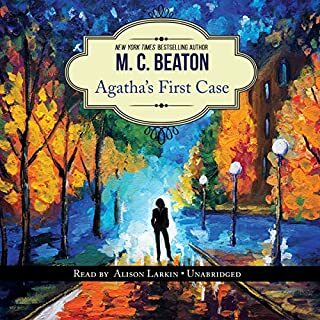 This is the last audio version of the Agatha Raisin series I will purchase unless Donata Peters returns to narrate. Agatha Raisin is actually a humorous character, but you would never know that with Davina Porter's delivery. 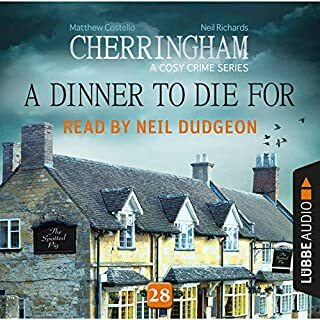 I'm a huge fan of both Agatha Raisin and Hamish Macbeth, but narrators can make or break storytelling. First the switch to Penelope Keith whose delivery I disliked ( I cringed every time she read Toni Gilmour's parts) and now Davina Porter which was nothing short of horrible. I'm done. My only hope is that Graeme Malcolm continues as Hamish MacBeth or I'll be READING that series as well instead of listening to it. I also agree with another reviewer, M.C. Beaton has changed the characters - this was not our typical Charles and James. All in all a very disappointing experience. I always re-listen to my Agatha and Hamish audiobooks - not this time. Hiss and Hers is a very entertaining story, however, the narration is horrible. I hope this is the last time Davina Porter narrates and Agatha Raisin mystery. Unfortunately, the usually wonderful Davinia Porter narrated this book and she just does not have the range to encompass the wide variety of characters. It actually made the story confusing since her voices did not differ enough, one from another, to enable the listener to keep track of who was saying what. Penelope Keith is, in my opinion, THE narrator for Agatha Raisin stories. What was one of the most memorable moments of Hiss and Hers? This story is unusual with its many twists and turns of plot. The whole snake thing made the story eerie. What didn’t you like about Davina Porter’s performance? I love Davinia Porter in the Poor Relations series. But she just doesn't have the oomph needed for Agatha's expressiveness (e.g. very wimpy "snakes and bastards!"). She is more of a genteel narrator. More character development and relationship development happened in this book. I enjoyed that. 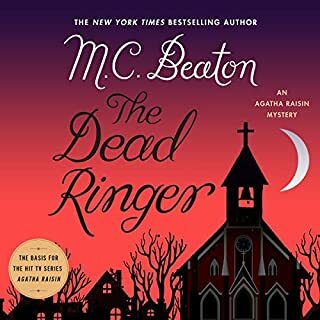 I have been listening to all of the Agatha Raisin books, in order, first on CDs and then switching to Audible. All the previous books have been an enjoyable listening experience until this one. The narrator's voice is unbearable to listen to. Her voice characterizations are mean and unpleasant sounding. She voices Agatha as if she is in her eighties and sounds like a horrible person. This Audible version is SO awful to listen to---whereas all those that preceded it were so enjoyable. I will not be purchasing ANY books in the Agatha Raisin series with this narrator. Shocking that it was approved for publication. I love Agatha Raisin books, and I love Penelope Kieth reading them. This narrator made Agatha and some of the other main characters sound especially whiny and unattractive.